The medium-bodied Bolivian coffee has been compared to Colombian coffee. It’s a South American country landlocked by by Peru and Chile to the West, Brazil to the North-West, and Argentina / Paraguay to the South. The majority of coffee grown is Typica, with Caturra and some Catuai available. Major coffee growing regions include the Yungas, Santa Cruz, Cochabamba, Tarija, Beni and Pando, with over 90% of the coffee production coming from the Yungas. Bolivian coffee is known for its classic and clean taste with a delicate, bright acidity and a sweet, aromatic quality with fruity notes including apple, pear, tangerine, lemon, and apricot. Caramelly and mild chocolate flavors may develop during the coffee roasting process. Most of the coffee plants grown in Bolivia are of the coffee plant varietal Typica (Coffea arabica var. typica), though there are also some Caturra plants (Coffea arabica var. caturra). Small coffee farms have lacked access to proper fertilizer and minerals to support optimal growth of coffee trees and beans, resulting in low crop outputs in recent years. A lack of infrastructure also means that Bolivia has difficulty exporting to other countries, but it is available from time to time from green coffee importers in the United States and Canada. Distributors and brokers are continuing to work on developing the wholesale coffee trade in Bolivia, and it should see some good growth in the upcoming years. 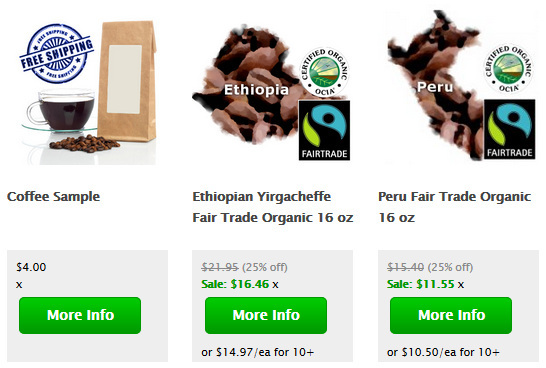 Also grown in Bolivia is a significant amount of organic coffee and Fair Trade coffee. In recent years Bolivia has made significant gains in the quality of their unroasted green coffee bean processing methods. Shade grown coffee is also a fairly common practice. Growing conditions favorable to coffee also create ideal conditions for Cacao, and Bolivian chocolate is a special treat. Cacao is also roasted similarly to coffee, albeit at a lower temperature of 325 degrees and gradually lowered over 15-30 minutes to allow the insides of the larger beans to roast properly. Trinitario is the most common variety of fine-flavor cocoa, and makes a delicious dark chocolate, as well as mixing great with fruits such as cherry or blackberry, and coffee. For tips on brewing the perfect cup of Bolivia coffee see our section on Coffee Brewing. 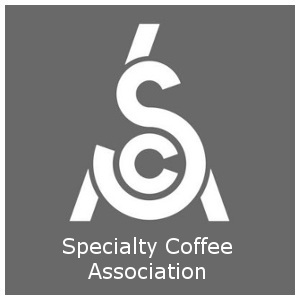 We also provide detailed coffee flavor profiles of Premium Gourmet Coffees and tips on preparing Espresso Drink Recipes. For espresso brewing tips see the comprehensive Pulling A Perfect Espresso Shot and then brush up on your barista skills with the How to make Lattes and Cappuccinos. Sounds like a lot? It's actually 0.1% of the coffee grown worldwide. Hi, Bolivian coffe it is very good the taste very special very original flavor I encourage every one to have one cup delicius. I love the Trader Joe’s Bolivian coffee!! Bolivians prefer the ” corrado” style, coffee that has sugar, do you carry it?